Shadow Indigenous Affairs Minister Senator Nigel Scullion,(pictured above centre on a recent visit to the CENTRE) speaking from the Garma Festival in Arnhem Land, said Minister Jenny Macklin’s speech on Labor’s plans for Indigenous affairs was underwhelming and more about throwing money around, bureaucratic plans and targets rather than results. 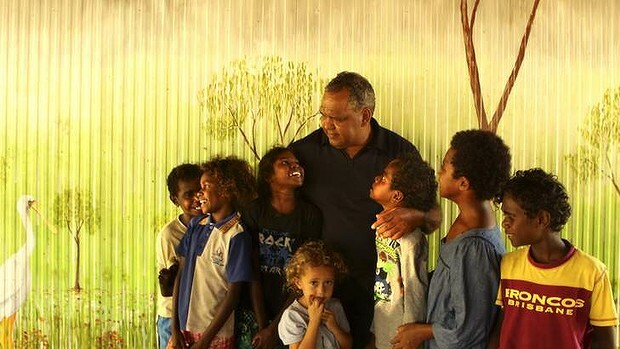 “Labor announced $90 million, to come from the Aboriginals Benefit Account (ABA) for government employee housing – I doubt that Aboriginal people living in overcrowded conditions would see government employee housing as a priority,” Senator Scullion said. “And Labor will make a mess of it in the same way as they did with the hopeless billion dollar plus NT remote housing program. Funding announced for homelands is welcome. “The ABA is funded through the Aboriginal Land Rights Act to support projects that benefit indigenous people in the Northern Territory. It is Aboriginal money and should not be thrown about in an election campaign as a political football. “The Coalition supports the proposed new alcohol management plans announced by Ms Macklin but we will ensure it is not done in the typical Labor bureaucratic way that produces nothing on the ground. “Ms Macklin cannot pretend to take the high moral ground on alcohol plans when it was her and the Rudd/Gillard/Rudd Government that approved Aboriginal money to bankroll two Alice Springs IGA supermarkets that sell alcohol to Aboriginal people. Police have reported three breaches of alcohol licensing requirements at these supermarkets to do with irresponsible service of alcohol to indigenous people. “The Coalition will provide bipartisan support for Labor’s proposed new Closing the Gap targets on incarceration rates, higher education and disability services but I am worried if we get too many targets they will lose their impact and then we could lose focus. But it is not the targets that make the difference its results that count – we need more than good intentions. Delivery has not been the strong suit of the Rudd/Gillard/Rudd Government. “Arguable progress in only three of the six closing the gap targets is not much of a scorecard. The results for indigenous education indicators are going backwards – in 2012, 14 out of the 20 NAPLAN indicators the gap has widened compared to 2011. The results in remote and very remote areas are a disgrace. 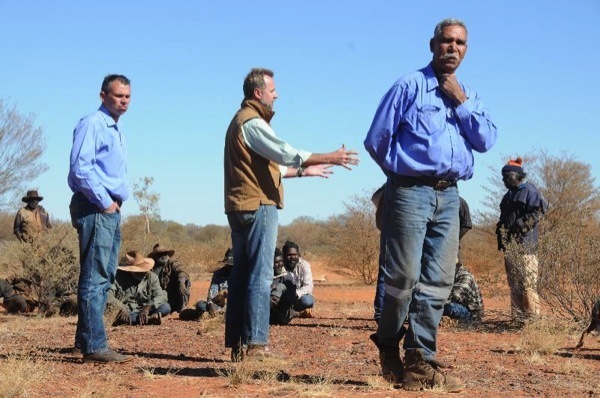 “The Coalition is focused on results and remains committed to the concept of rights, recognition and indigenous-led responsibility as fundamental building blocks of our Indigenous Affairs policy,” Senator Scullion said. The Aboriginal and Torres Strait Islander Healing Foundation welcomes today’s funding announcement by the Minister for Families, Community Services and Indigenous Affairs, Jenny Macklin. The funding, $26.4million over 4 years, will ensure the Healing Foundation’s significant work with communities throughout Australia continues. ‘This funding will ensure the Healing Foundation builds on its work with our communities to Close the Gap through healing’ said Richard Weston, Healing Foundation CEO. Initial funding for the Healing Foundation, announced in 2009-10 Budget context, was to establish a national organisation that provides practical and innovative healing services as well as education, training and research on Indigenous healing. Over the last 4 years the Healing Foundation has funded over 90 projects nationwide. These projects focus on the Stolen Generations, young people, connection to culture and country, and men’s and women’s healing. ‘It has been a privilege to be part of the development phase of the Healing Foundation. I look forward to consolidating our work around areas such as Stolen Generations, intergenerational trauma and traditional healing’ Mr Weston said. More information about the Aboriginal and Torres Strait Islander Healing Foundation is available at www.healingfoundation.org.au. 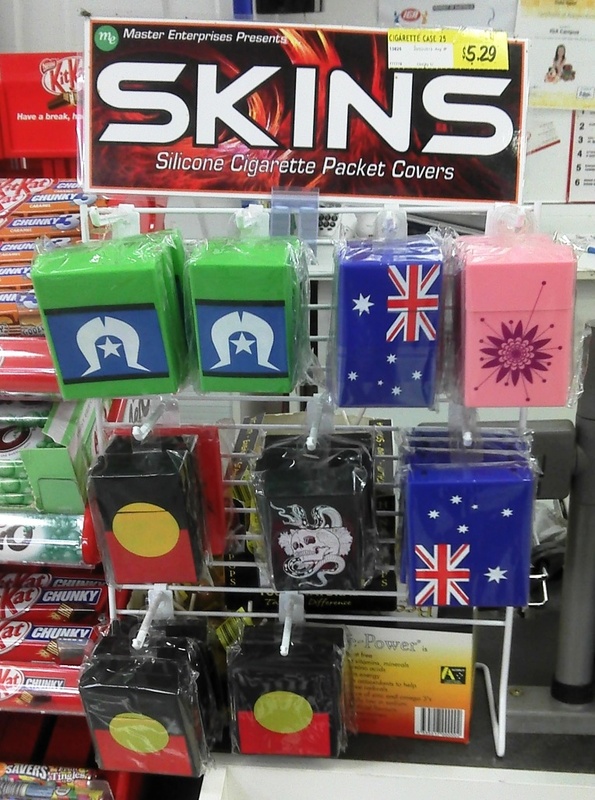 For just $5.29 Australians can now purchase “Skins” from local, independent grocers to cover their cigarette packet with the Aboriginal or Torres Strait Islander flag. We argue that this use of cultural content and copyright imagery on cigarette packets negates health promotion efforts, such as Australia’s recent introduction of plain packaging laws and the subsequent dismissal of a legal challenge from the tobacco industry. Aboriginal and Torres Strait Islander people smoke over twice the rate of non-Indigenous Australians (ABS 2010). Health promotion practitioners working to reduce these smoking rates face the challenge of the broader historical and cultural context of smoking behaviour. In response, health promotion efforts have endeavoured to shift, displace and resist the notion that unhealthy behaviours, such as smoking, are inherently part of Aboriginal and Torres Strait Islander culture. Some examples of this approach include Queensland Health’s Smoke-free Support Program (Smoking: It could cost us our culture), the Institute for Urban Indigenous Health’s Deadly Choices campaign and other initiatives beyond Queensland (for example, Adams et al 2010; Basinkski and Parkinson 2001). 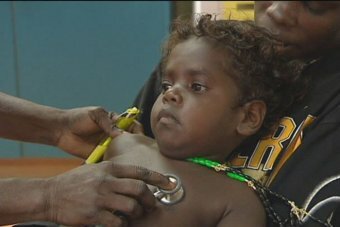 Brady (2002) has noted how throughout colonial contact, Europeans have exploited Aboriginal addiction to nicotine and therefore as health practitioners, we are concerned about what may be the continued exploitation of Aboriginal and Torres Strait Islander people for economic gain. We also note that Skins are available with the Australian flag and are concerned that more broadly, cultural and national pride is being manipulated by these companies. In other words, the sale of products that appropriate cultural content and copyright imagery for the purpose of enhancing the appeal of cigarettes is cause for alarm for us. As a practice, health promotion endeavours to secure equal opportunity and resources to enable people to achieve their full potential in life. Thus, we raise this issue for your awareness and welcome your analysis, comments and suggestions for action. We are also working on possible responses with advocacy organisations. Acknowledgement: The authors would like to acknowledge the contributions of Arika Errington (NACCHO) to this article. Adams K, Liebzeit A, Jakobi M. (2010). “How’s your sugar? : A deadly website for you, your family and your community.” Aboriginal and Islander Health Worker Journal, Aug;34(5):2. Basinski D, Parkinson D. (2001). “’We saw we could do it ourselves’: Koorie Cultural Regeneration Project.” Australian Journal of Primary Health;7(1):111-5. We note that both the Aboriginal and Torres Strait Islander flags are copyrighted materials and therefore must be reproduced in accordance the provisions of the Copyright Act 1968 or with the permission of the artists, respectively Harold Thomas and the Island Coordinating Council. Tony Abbott’s budget reply speech last night didn’t include a single sentence on his priorities for Indigenous Australians – but that doesn’t mean Indigenous people aren’t in his sights. This week’s Budget continued the Gillard Labor Government’s unprecedented investments to close the gap on Indigenous disadvantage. The Budget included $1.6 billion in funding for improved health, education, essential services, welfare reform, recognition and advocacy. $1.3 million to continue building support for the recognition of Indigenous people in our Constitution. 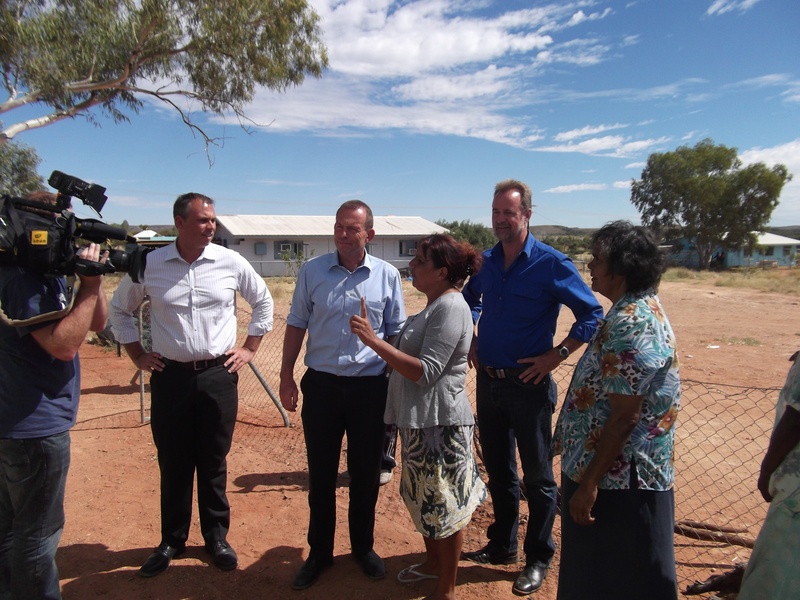 This funding directly improves the lives of Indigenous people – so why does Tony Abbott want to take it all away? It’s clear that Tony Abbott will cut services to the bone if he is elected Prime Minister – and Indigenous people won’t be spared. He wants to keep it a secret – but the truth is already out. After years of underinvestment and neglect under the Howard Government, this Labor Government has made unprecedented investments to close the gap on Indigenous disadvantage, with more than $5.2 billion in funding for employment, education, health services, community development and community safety. We have set out a clear pathway to close the gap on Indigenous disadvantage, and we’re making the investments that are needed to get there. The progress we’ve made over the past five years in partnership with Indigenous people has delivered encouraging results. Mr Abbott puts all of this progress at risk. Only Labor can be trusted to deliver for Indigenous Australians. 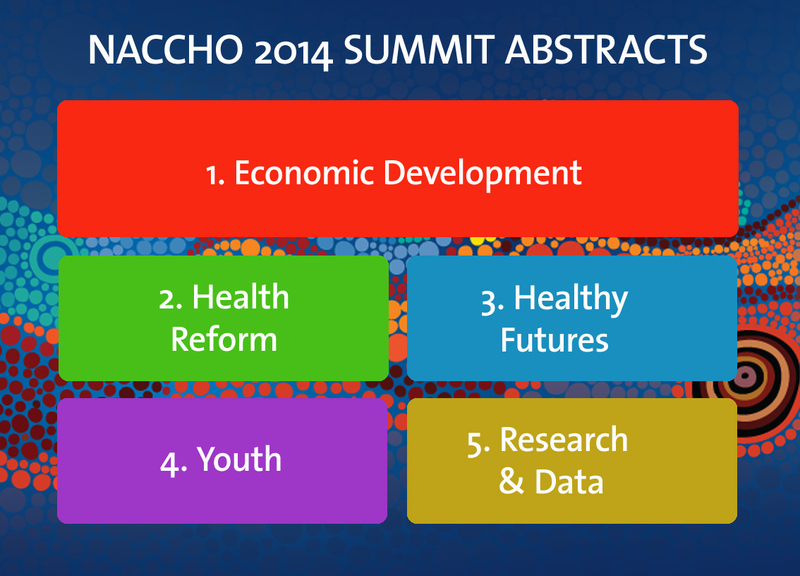 NACCHO press release: NACCHO praises release of FPDN 10 point plan for Aboriginal people with a disability. Access to DisabilityCare critical for Aboriginal people Measures to increase awareness of the benefits of DisabilityCare Australia within Aboriginal communities and establish targets to improve access to disability services are both welcome given thehigh numbers of Aboriginal people living with disabilities. This prevalence of disability is more than twice that of the non-indigenous Australians. 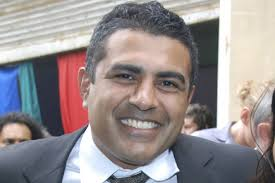 The National Aboriginal Community Controlled Health Organisation (NACCHO) Chair Justin Mohamed (pictured below) today praised the 10 point plan developed by the First People’s Disability Network (FPDN pictured above) ) which would use peer to peer methods to get the message to communities about how DisabilityCare can improve their lives. Mr Mohamed also welcomed the announcement by Minister Jenny Macklin that NACCHO will form part of the working group to help the Federal Government set new targets aimed specifically at increasing access to services for Aboriginal people with a disability. 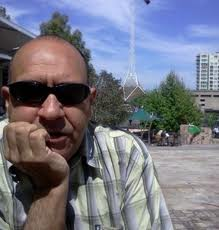 “The fact is that around twice as many Aboriginal people have a disability than non-Aboriginal people,” Mr Mohamed said. “The introduction of DisabilityCare Australia has the potential to turn around the lives of these people by providing them with quality care and support to help them reach their full potential. “However it is often the case that as Aboriginal people we don’t always recognise disability or seek the appropriate levels of help. Mr Mohamed said Aboriginal Community Controlled Health Services can play a key role in helping to spread the word about DisabilityCare Australia. “We are already a trusted source of comprehensive primary health care within our Communities in urban, regional and remote areas and we can help in educating and bringing awareness to our communities about the changes to the system and ensure they are not left out. “We look forward to being key players in developing targets and mapping out the means through which to deliver quality access to disability services for Aboriginal and Torres Strait Islander people. Recognise that the starting point is the vast majority of Aboriginal people with disability do not self-identify as people with disability. This occurs for a range of reasons including the fact that in traditional language there was no comparable word for disability. Also that many Aboriginal people with disability are reluctant to take on the label of disability particularly if they may already experience discrimination based on their Aboriginality. In many ways disability is a new conversation in many communities therefore with regard the NDIS we are starting from an absolute baseline position. And as a consequence change in this area may evolve on a different timeline to that of the main part of the NDIS. Awareness raising via a concerted outreach approach informing Aboriginal people with disabilities, their families and communities about their rights and entitlements. And as well informing Aboriginal and Torres Strait communities about the NDIS itself and how to work this new system effectively. There is simply no other way to raise awareness then by direct face-to-face consultation. Brochures and pamphlets will not do the job in this instance as this will be as stated earlier a new conversation in many communities. Establish NDIS Expert Working Group on Aboriginal and Torres Strait Islander People with disability and the NDIS. In recognition of the fact that there is a stand alone building block for the NDIS focused upon Aboriginal and Torres Strait Islander people with disabilities the FPDN views it not only as critical but logical that a new Expert Working Group be established focused upon Aboriginal and Torres Strait Islander people with disabilities. The new working group would operate in the same way the 4 current working groups do, that is it would be chaired by 2 members of the National People with Disability and Carers Council. To ensure its effectiveness but also critically to influence prominent Aboriginal leaders as well as the disability sector, members would be drawn from Aboriginal leadership as well as involving prominent disability leaders. The FPDN believes such an approach is warranted not only because of the degree of unmet need that is well established but also because this has the potential to be a very practical and meaningful partnership between government, the non-government sector and Aboriginal and Torres Strait Islander communities. Research including into the prevalence of disability and into a range other relevant matters. Critically this work must be undertaken in partnership with Aboriginal and Torres Strait Islander people with disabilities to ensure a culturally appropriate methodology. There remains very little reference material about disability in Aboriginal and Torres Strait Islander communities this needs to rectified to ensure that we are getting a true picture of the lived experience of Aboriginal and Torres Strait Islander people with disabilities. Recognise that there already exists a workforce in many Aboriginal communities that continues to do important work often informally. This work needs to valued and recognized with the potential being the creation of employment opportunities in some communities. Recruitment of more Aboriginal people into the disability service sector. Build the capacity of the social movement of Aboriginal and Torres Strait Islanders with disabilities by supporting existing networks and building new ones in addition to fostering Aboriginal leaders with disabilities. These networks play a critical role in breaking down stigma that may exist in some communities but are also the conduits for change and will be integral to the successful implementation of the NDIS in Aboriginal and Torres Strait Islander communities. 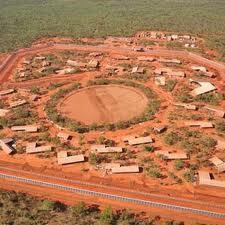 Aboriginal ‘Launch’ sites focused upon remote, very remote, regional and urban settings. 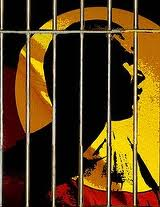 It is critical that this major reform be done right. Therefore it is appropriate to effectively trial its implementation. To this end the FPDN can readily identify key communities that would be appropriate as trial sites. 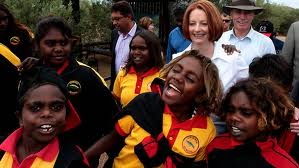 The Gillard Government will be delivering a $22 million funding boost to help more than 3000 Indigenous students across the country complete their secondary education. School Education Minister Peter Garrett today announced the Government will provide an additional $10 million to the Australian Indigenous Education Foundation this year, and a further $12 million under the Indigenous Youth Leadership Program over the next four years as part of the 2013-14 Budget. Mr Garrett said the extra funding for the Australian Indigenous Education Foundation will help support another 733 Indigenous students to attend boarding school. “This funding boost means that since 2008, Labor has delivered a total of $32 million to the Foundation, benefitting more than 2,300 Indigenous students across the country,” Mr Garrett said. “As part of our agreement with the AIEF, every dollar the Commonwealth invests is matched by a dollar from corporate and private support, meaning the organisation will benefit from a total of $64 million as a result of our support. “These scholarships are crucial in helping young Indigenous people complete Year 12 and ensuring they have an opportunity to secure a job and lead fulfilling lives. “Education is the passport out of poverty for many young Indigenous people and this extra funding will help even more students reach their goals. The new funding for the Indigenous Youth Leadership Program will support 204 new scholarships for Indigenous students. The additional funding in this year’s budget will provide scholarships for 68 students in 2014 in each of Years 7, 8 and 11. Since 2006, more than 1,500 secondary and tertiary students have been assisted under the IYLP. More than 86 per cent of students have been retained in the program or have completed Year 12, and more than 98 per cent of students who have begun Year 12 have completed the year. Indigenous Affairs Minister Jenny Macklin said the Gillard Government had made unprecedented investments to help close the gap on Indigenous disadvantage. “After years of underinvestment and neglect, Labor’s investments are making a real difference for Indigenous people,” Ms Macklin said. “This year we are meeting our first closing the gap target, with more Indigenous children having access to pre-school or kindergarten than ever before, and our target of halving the gap in mortality rates for Indigenous children under five by 2018 is also on track to be met. Ms Macklin said the Government was delivering sustainable, long term investments to close the gap. “Mr Abbott has so far refused to guarantee funding for Indigenous programs and organisations,” Ms Macklin said. “This Labor Government has set out a clear pathway to close the gap on Indigenous disadvantage, and we’re making the investments that are needed to get there. “We won’t close the gap without the certainty of these long-term investments, or without partnerships between government and Indigenous organisations. nearly $20 million for the Teach Remote program which places high quality teachers into remote communities. The Gillard Governments National Plan for School Improvement will also include a particular focus on the needs of Indigenous children. Funding for schools will be based on a Schooling Resource Standard, which includes a base amount per student and additional funding for schools and students that need more support, including indigenous students. The Australian Government will invest $24.5 million over two years to build on the significant gains that have been made in improving Aboriginal people’s lives in the four communities participating in the Cape York Welfare Reform trial. This funding injection in the 2013-14 Budget will continue the Family Responsibilities Commission (FRC) and other key parts of the program, as well as introducing new measures to further support school enrolment and attendance, and re-engage disengaged youth with education, jobs and life skills in the communities of Aurukun, Coen, Hope Vale and Mossman Gorge. The Minister for Families, Community Services and Indigenous Affairs, Jenny Macklin, said the Australian Government’s funding includes provision to operate the School Enrolment and Attendance Measure (SEAM) in the participating communities, to help ensure children attend school every day. “The recently released evaluation of the Cape York trial showed that the Family Responsibility Commission is very effective in increasing parental responsibility and school attendance amongst many families it works with,” Ms Macklin said. “While we have seen a significant increase in school attendance through the trial, it is clear that for some families more needs to be done to ensure all children are getting a decent education and attending school every day in all four communities. “The local Family Responsibility Commissioners have told us that further efforts are needed to engage hard to reach families and ensure they send their children to school. “That is why we want to work with the Family Responsibility Commission and our welfare reform partners to implement SEAM as part of the Cape York welfare reforms, with a key role for the FRC. Under the enrolment component of SEAM, parents will be required, if requested, to demonstrate to Centrelink that their children are enrolled at school. The Family Responsible Commission will be made aware of parents of children who are not enrolled and will work with them to address any barriers to enrolment. If children fall below the set attendance benchmark, the Family Responsibility Commission will work with families, the schools and Centrelink to develop attendance plans. If parents do not meet their part of the agreed attendance plan, income support payments may be suspended. Payments will be reinstated once the parent complies with their responsibilities. Ms Macklin said that the evaluation also showed that there a number of young people who are not participating in education, training or employment. “We want to see young people fulfilling their potential and learning the benefits of personal responsibility,” Ms Macklin said. Newly funded youth workers will be available to provide better support to young people in the communities. They will work closely with the FRC and with disengaged young people to help them develop an action plan to undertake education or training, address any barriers to participation, develop the skills needed to get a job, and where relevant, improve their parenting skills. The FRC will also have the option of referring them to income management. Ms Macklin said that while progress has been made in the Cape York Welfare Reform communities, the Australian Government did not underestimate the challenges that remain. “The Australian Government’s continued investment and the introduction of the additional measures will help build on the significant gains already made, as well as target the harder to reach groups in the communities,” Ms Macklin said. “Local communities have shown they want to take responsibility and the Australian Government is committed to working with them to do this. “The Queensland Government has a clear role to play in relation to school attendance and support for disengaged young people, as well as in ensuring that the important gains already made through the Cape York Welfare Reforms are not lost.